NEW USPS DIRECT MAIL PROMO PROGRAMS! The USPS has announced five direct mail promotion programs offering incentives to increase mail volumes for the 2017 calendar year. These promotions—including one new and five continuing ones—are intended to provide marketers incentive to use direct mail to increase customer engagement with dynamic color, new print techniques, mobile technology, and traditional and innovative mail techniques. 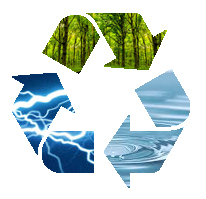 On average, participation in the promotions will provide a 2-5% postage discount. Extended to six months (from three), this program offers credits for Alternate Postage mail pieces (in addition to Business Reply Mail and Courtesy Reply Mail pieces), and increases the per-piece credit amount from $0.02 to $0.05. As in prior years, this promotion enhances the value of First-Class Mail by encouraging mailers to invest in color print technology in order to foster a better connection with, and response from, customers. It will allow new participants to qualify without meeting the personalization requirement. Direct mailers who “enhance customer engagement with the mail through the use of advanced print innovations in paper and stock, substrates, inks and finishing techniques” will be considered. Standard mail that meets the requirements will be eligible for an upfront 2% postage discount during the promotional period. Geared towards e-commerce marketers, this promotion offers a 2% discount for Standard Mail letters and flats that include qualifying technology (i.e., QR codes, snap tags, watermarks) inside or on the mail piece that facilitates consumer purchases through a mobile-friendly website or social media “Buy Now” features. 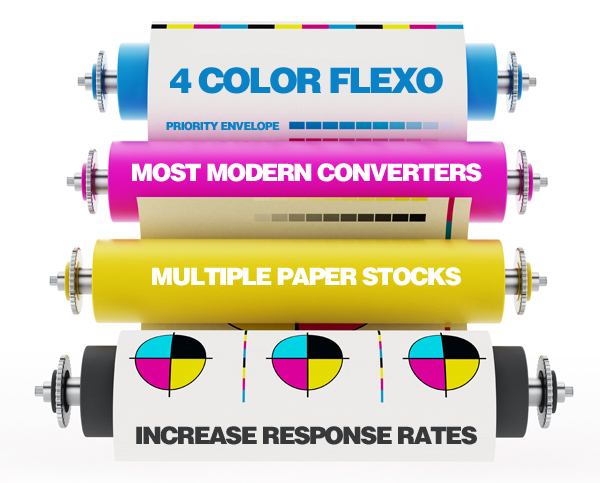 Priority Envelope offers premier quality 4 color enhanced flexographic printing on the most modern converters available in the world. We offer multiple uncoated & coated papers to enhance your direct mail package. Studies have revealed that “the use of color increases your response rates”. Our team has been trained at Clemson University, the recognized leader in flexographic technology in the United States. 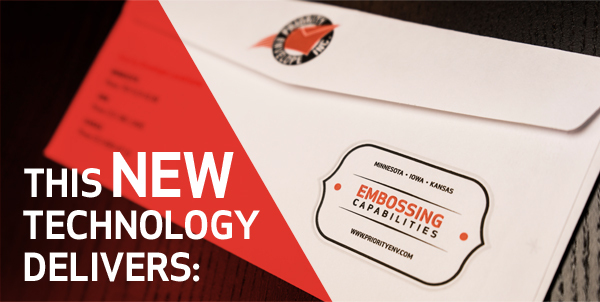 Priority has implemented responsible, efficient systems and automated, precise controls to ensure the highest quality envelopes while at the same time provide cost savings vs. customary print methods. The Priority “extend-a-lope”, Design Patent #D616930, allows recipients to view key elements of your offer immediately. The extend-a-lope has a convenient opening feature on the seal flap which unveils even more space to promote your service or product. Bottom line: this product will increase your response rates and ROI. Please contact your Priority Envelope sales person with your questions or requests. Introducing In-line Custom Envelope Embossing! Our NEW custom embossing feature provides flexibility in design and location on the envelope while printing up to 4 colors. 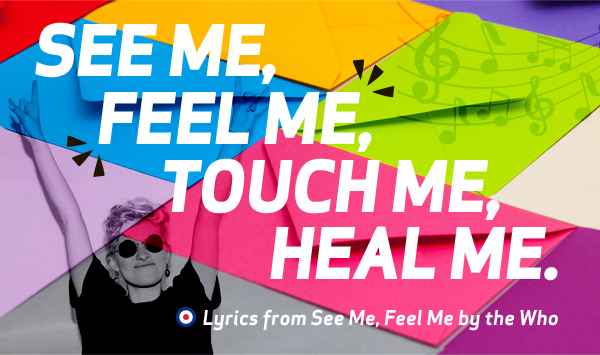 When designed within the 2017 USPS Tactile, Sensory and Interactive Promotion regulations your mailing can qualify for significant postage discounts. This technology delivers a quality embossing alternative to heavy steel-engraved cylinders. 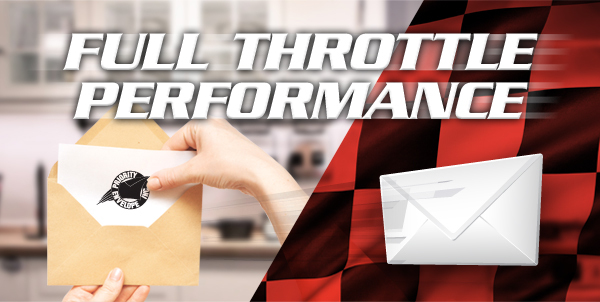 TAKE YOUR NEXT MAILING PROGRAM TO NEW LEVELS OF SUCCESS! The special coating which provides a ‘velvet’ like texture is actually applied at high speeds in-line on our envelope converting machines immediately after the print process. There is NO off-line separate process. Contact your local sales representative for samples of our newest product that may have you qualifying for reduced postage rates on your next direct mail program. 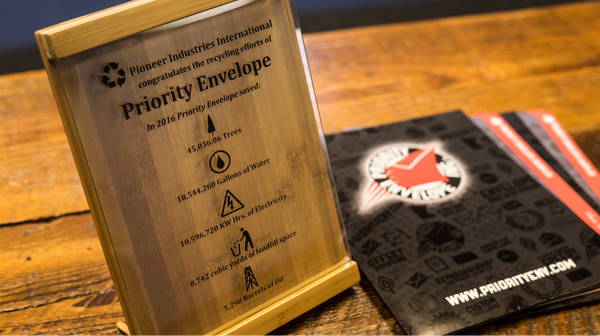 Take an Inside Look at Priority Envelope! 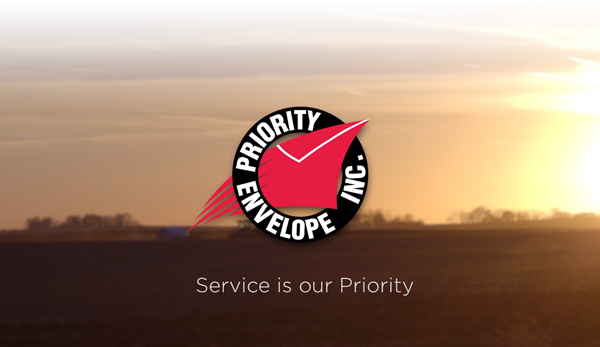 We are so proud of our entire team at Priority Envelope and this video features our IOWA facility located in Nevada, Iowa. 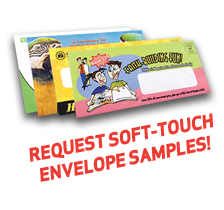 Contact us regarding any of your envelopes needs….blank stock, 1-4 color jet imprinting, envelope converting, web production with enhanced flexo to 5 colors, custom embossing, large booklet or open end products or any custom designed specialty envelopes. Priority Envelope was founded in 1996. We started with two Halm Jet presses, five employees and a 15,000 sq. ft. building. Our deep desire to provide extraordinary customer satisfaction has been the basis for our success. Today, we have grown to three locations, a 85,000 sq. ft. building in Plymouth, MN, a 96,000 sq. ft. building in Nevada, IA, and a 38,000 square foot building in Lenexa, KS. We have over 200 dedicated employees with a sharp focus on success! We will settle for nothing less than perfection when taking care of our customers. GUARANTEED! OUR CLOCK NEVER STOPS TICKING! We are constantly working to help your project arrive on budget – and on time. 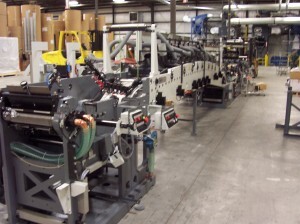 Behind the scenes – from quoting, design, prepress, fulfillment – and delivery. 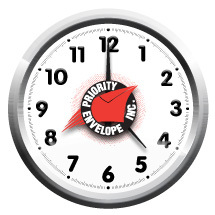 Priority Envelope has a team of over 200 employees working to make sure your project delivers smoothly. CUSTOMER SATISFACTION. Priority Envelope continues to make investments in the newest technology available. 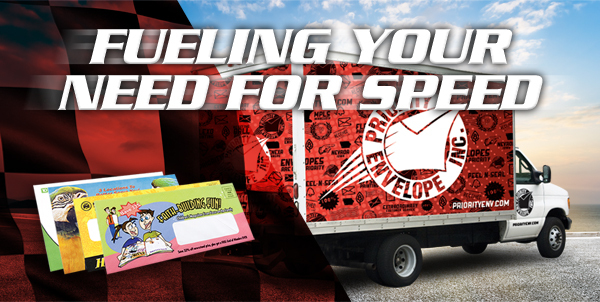 We offer a full range of envelope converting equipment, including up to 4-color ‘enhanced’ flexographic printing for all your custom envelopes, as well as 4-color offset (Jet) printing for standard size products. It’s our promise to grow and invest in technology, in order to satisfy our customer needs.